THE PERFECT TRIP FOR INTRODUCING CAMPERS AGES 8-10 TO THE GREAT OUTDOORS. The Outdoor Discovery program provides a gentle yet exciting experience for budding adventurers. The majority of the trip takes place on our 500-acre property--allowing participants to experience the wilderness without being fully immersed in the back-country--and culminates with an overnight in nearby Jefferson National Forest. In addition to developing skills like canoeing, rock climbing, and fire-by-friction, participants learn to become more self-reliant. The simple truth is that most 8-10 year-olds can't be expected to pick-up after themselves. Most 8-10 year-olds can't be expected to be expected to consider other participants' happiness and well-being above their own happiness and well-being. What we at WAEL strive to provide is a much quicker transition from the "me"-years to the "we"-years than any rival companies can even consider. Our Outdoor Discovery leaders are fun, experienced, and engaging teachers who will be sure that each participant is able to face challenges appropriate to his or her own sense of self-confidence and skill level. Campers will learn to make themselves at home in the outdoors as they set camp on our 500-acre Base Camp - far enough away to experience real Outdoor living, yet close enough that while doing activities such as the Climbing Wall, Low Challenge Course, and Outdoor Living Skills. The group will build up to an overnight backpacking trip at Roaring Run, an refreshing natural water slide and waterfall hike in Jefferson National Forest. By this time of the trip, participants will have the confidence in their outdoor skills and in working with each other for a short hike and setting camp for night away from base camp. Participants will camp in backpacking tents, pack all gear in one backpack, cook hiker-style meals on backcountry stoves, and share the accomplishments of each day with your group and leaders by the fire each night. Participants will receive introductory lessons on skills such as shelter-building, fire-by-friction, wildlife tracking and identification, and basic wilderness first-aid. 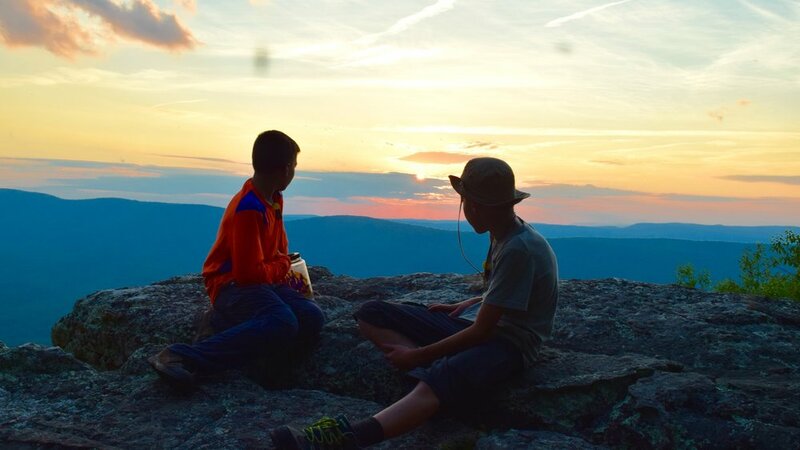 As trip leaders on an introductory experience, our staff will of course provide aid and advice for your camper--however, a key component of our philosophy is to foster a sense of independence. Outdoor Discovery Campers have responsibilities such as setting-up and packing-up tents and cooksites, carrying their own gear, and taking on various leadership roles. Participants leave WAEL with an appreciation of nature, an ability to take on challenges and responsibilities, and an ability to not only cope with, but to thrive in new places with new people. The Ourdoor Discovery does this, and it gives participants new to Outdoor Adventure the experience they need to try one of our Classic Adventures when they are old enough.